Avengers: Age of Ultron is all set to be one of the biggest films of the year, so to mark its release, and the latest issue of Starburst Magazine has all you need to know about it and the surrounding Marvel properties. I've contributed a piece about the Marvel Universe TV series, and there's a whole load more Avengers-themed content for you to get your super-powered hands onto. Also in this issue – two of my reviews, and a merchandise column I sort of wrote. I found out I was writing a merchandise column towards the end of the magazine's print deadline day, after I'd been proofing copy for about 24 hours, so I apologise if the puns are even worse than the one in this blog post's title. 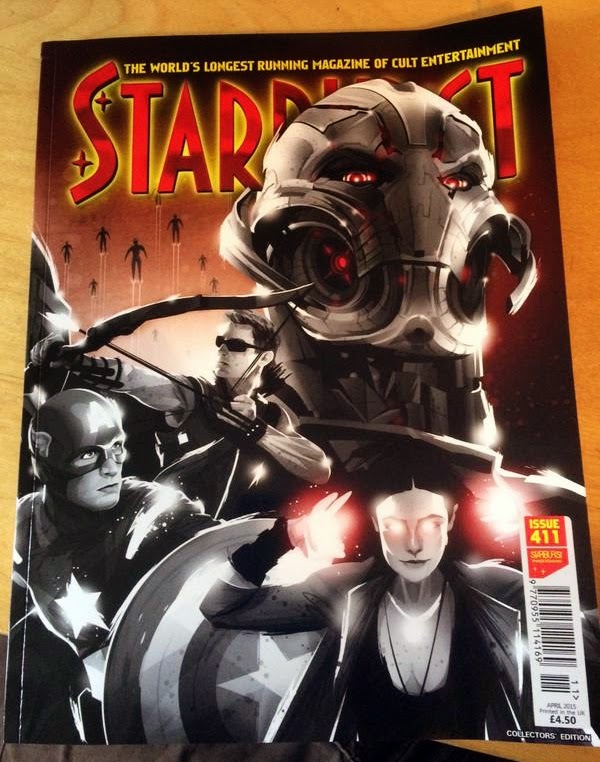 Starburst 411 is available from WH Smiths, independent comics retailers, or right here.